Simple yet stunning these pretty wedding favour box designs will enhance the finest wedding table. 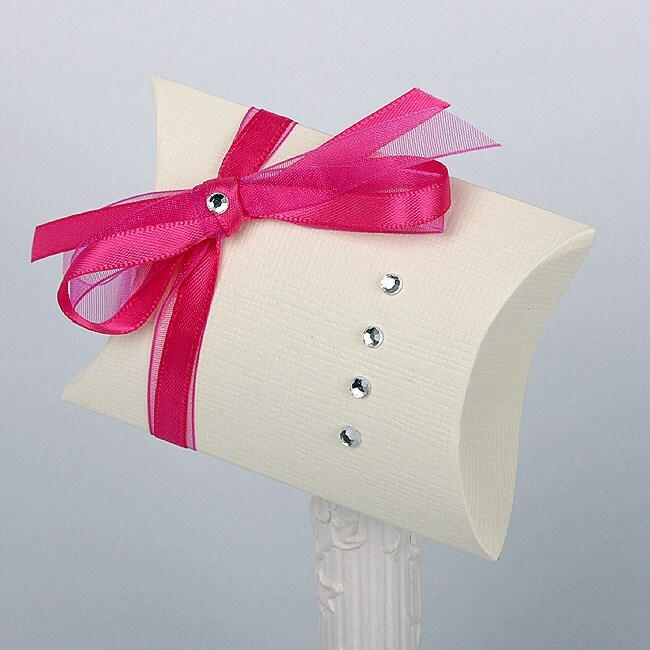 The ivory silk boxes are decorated with tiny diamantes and finished with a choice of colour co-ordinated satin and organza ribbon to match your wedding colours. Satin and organza ribbon of your choice.